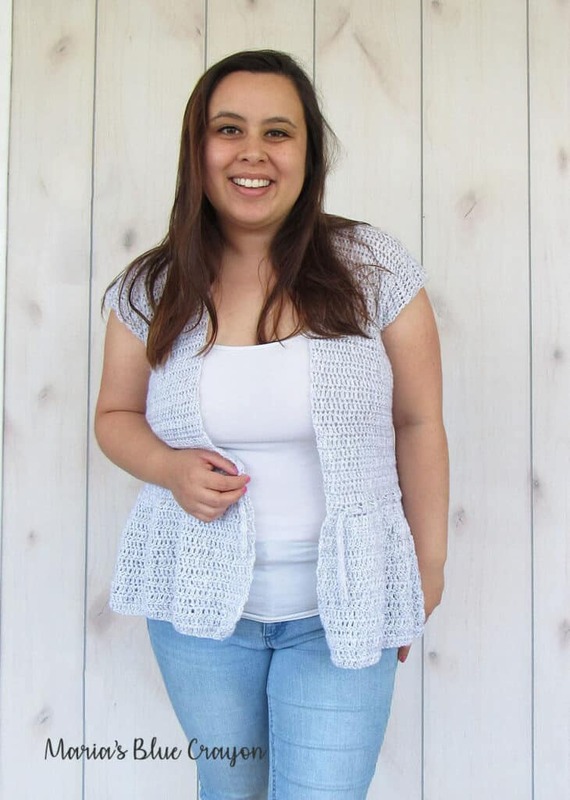 This cardigan is light weight, has capped sleeves and a little ruffle detail on the bottom, and is just perfect for warm months! After taking photos of this cardigan, I wore it for the rest of the day in high 70’s weather and it was just the perfect cardigan! It’s really light and it makes a simple outfit really cute and feminine! The best part? It’s really easy to make! 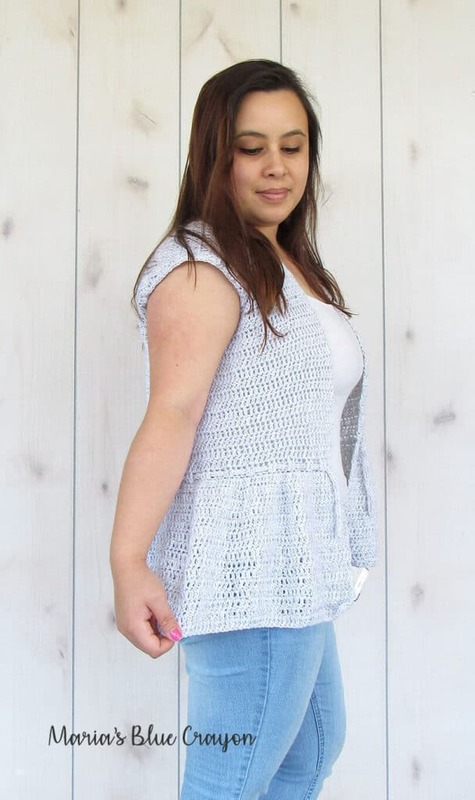 It’s basically made up of 3 rectangles in double crochet, sewn together and add the ruffle! 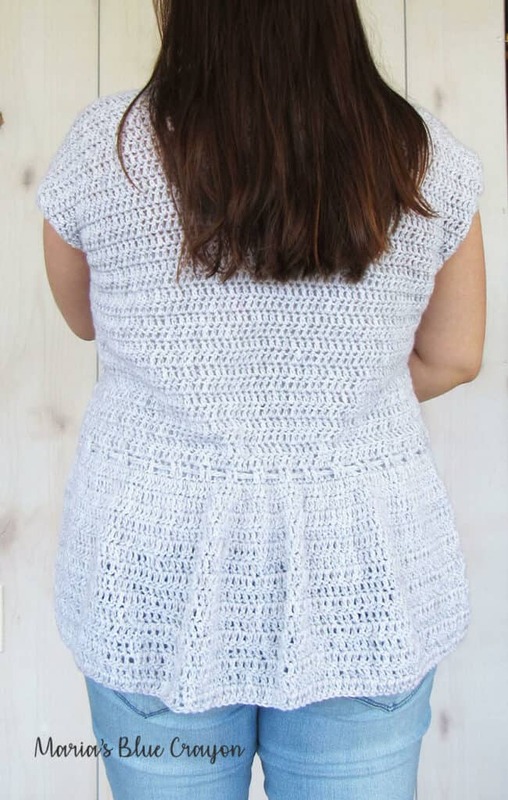 Have you ever made a crochet ruffle detail? It’s super simple! There’s basically nothing to it.. just some increases and then it’s smooth sailing from there! 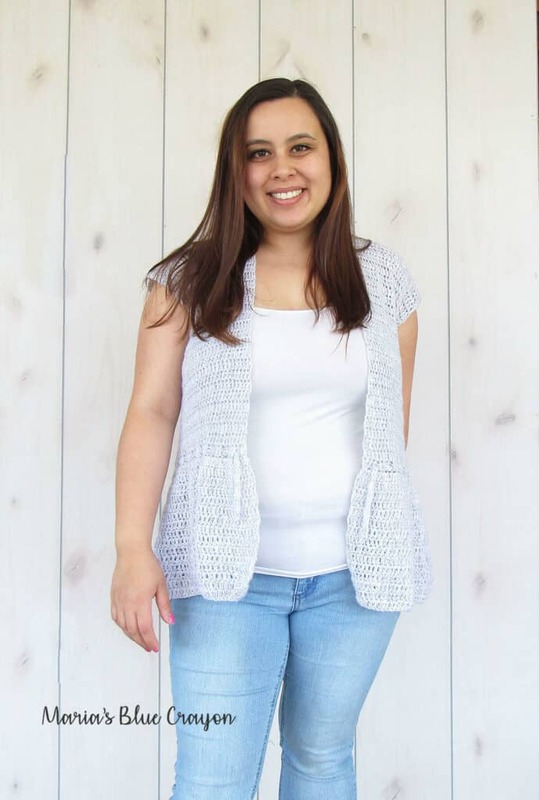 If you love the look of this cardigan, I highly recommend you give it a try! This is an easy and mindless project to make! I added a crochet I-Cord to weave between the rows before the ruffle to gather the fabric a bit more. Since I went with more of a subtle ruffle, the cord helps bring out the ruffles more! I used Hobby Lobby’s Baby Yarn Bee. It’s one of my favorite yarns! It’s light weight (category 3) and comes in so many pretty neutral shades! It’s really hard for me to find neutral light weight yarns! You can also use any other weight 3 yarn. Baby Yarn Bee is also acrylic, which I recommend because it’s easily washable and drapes nicely. Grab the ad-free for your convenience here on Ravelry! The cardigan will be made in three pieces: back panel and two front panels. Once the panels are sewn together, the ruffle will be added onto the bottom edge. The cardigan has a ‘regular’ fit. I suggest going down a size if you are between sizes unless you would like a looser fit. In the cardigan modeled, I made the ruffle part only 15 rows long as I am only 4’11” and didn’t want it too long. The pattern is for an ‘average height’ person. You may make this ruffle part as long or short as you’d like. We will now assemble the panels of the cardigan before we add on the ruffle bottom. Lay the front panels on the back panel. Sew each front panel onto the back panel all the way across on the top. Sew each panel down the side leaving 7 (7.5, 8, 8.5, 9, 9.5) inches for an arm hole. Weave in all ends. Flip inside out, this will now be the ‘right side’ of your cardigan. You can place a stitch marker on the outside so you don’t loose track of what is the right/wrong side. *You can make this as long or as short as you’d like by adding or subtracting rows. Attach yarn to the arm hole and single crochet around evenly. Fasten off. Do this for each arm hole. 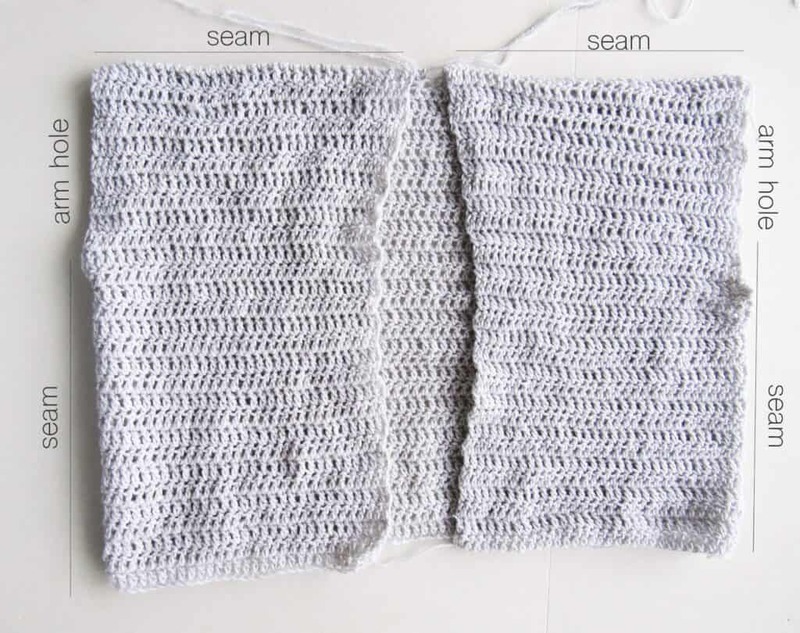 Crochet an I-Cord the same measurement as the (bust) size you are making your cardigan. You may make this longer if you would like to use it as a tie in the front. I made mine long enough to just hang and have everything else lightly cinched together for a more gathered look. If you are not comfortable crocheting an I-Cord, you may crochet a long chain and single crochet back onto the chain instead. Weave the cord through every 2 double crochets on the row before the ruffle addition on the cardigan. I have a question. In Row 1 of the ruffle section, does the *2dc, 2dc, dc* mean *2 dc in next 2 sts, 1 dc in next st*??? I also wanted to say that I think you are adorable and I love your patterns. I have entered my email address to get notices when you publish new content. Super cute pattern! I just love the ruffle bottom.